BERLIN (Reuters) -- Ford Motor Co., which expects to lose more than $1 billion in Europe this year, is making buyout offers to "a few hundred" white-collar European workers as the automaker struggles to rein in costs amid plunging vehicle sales. Ford will make the offers under three regional programs, for Germany, the United Kingdom and the rest of Europe, Germany-based spokeswoman Beate Falk said. The effort is part of the automaker's push to "achieve greater efficiencies in all of areas of the Ford of Europe business," Ford said in separate statement on Tuesday. Ford will offer buyouts to employees and cut spending on contract workers and purchased services to reduce personnel costs, the company said in the statement. 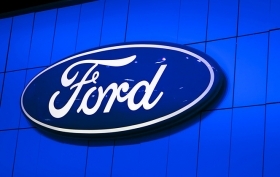 Ford has been under-performing its peers in Europe, where consumer confidence has been hurt by the deepening economic crisis. Ford's European vehicle sales plunged 29 percent in August while overall industry sales fell 8.5 percent. The company is cutting costs in the region as well as revamping its lineup to attract buyers. Earlier this month, Ford's top executives gave previews of several models to about 2,500 dealers in Amsterdam. "There is a tremendous decrease in demand, but we're absolutely committed to Europe," Ford CEO Alan Mulally said last week in New York. "That will involve some restructuring." Ford said it expects to cut "several hundred salaried positions" in Europe, but exact figures will not be known for a few months. The automaker said the buyout offers would be "purely voluntary." The daily newspaper Frankfurter Allgemeine Zeitung first reported the news earlier on Tuesday, in a report released in advance of publication Wednesday.